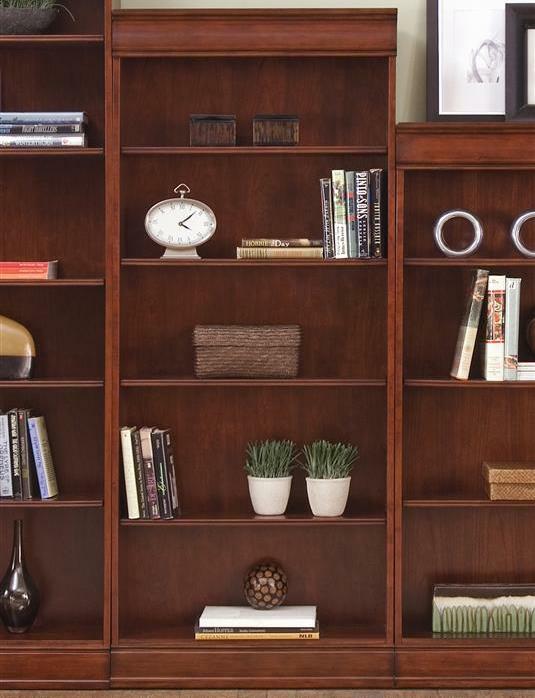 Expertly crafted from select hardwoods and cherry veneers this open bookcase provide you with a place to keep all of your books, decorative pieces and more. Built with a simple silhouette this piece was intended to be paired with other book cases in the collection to create a bunched look to fill an empty wall in your home or office. 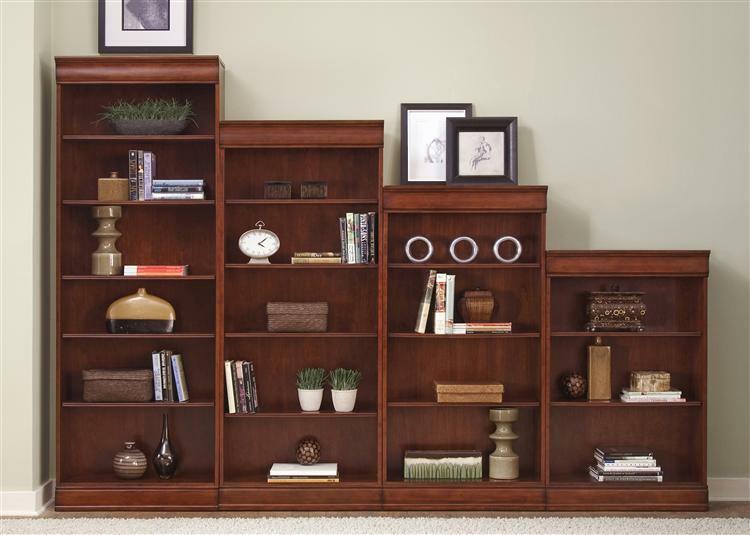 Shelves are adjustable for a customized look and bathed in a deep cherry finish for a transitional, refined style.